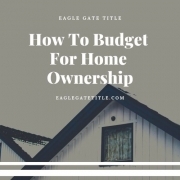 How to budget for home ownership has dramatic effects on your lifestyle, relationships and financial fitness over time. You’ve heard the horror stories of people divorcing and the mortgage going into foreclosure: sad days, indeed. With good planning, you can avoid these problems. You don’t have to be a rocket scientist to succeed on this one, but you do need to follow some guidelines if you want less headache in the long run. In this example, the total monthly expenses are $4,500, matching the income of $4,500. If your income is greater than your outgo, then increase savings for future needs. In this case, saving $750 per month will add up fast to be significant, especially over time, even if you saved for only one year. For example, saving $750 per month for one year would add up to $9,000. Let’s say you invested the $9,000 in a good mutual fund that has earned on average 10% interest for many years. Using the Rule of 72, you can expect your money to double every 7.2 years. Without touching the $9,000 or even adding to it for 36 years, the $9,000 will have grown to $288,800! That’s quite a “chunk of change” for one year of savings that you forgot about! Now, back to how to budget for home ownership. A good rule of thumb is to keep your house payment under 25% of your monthly take-home pay. So, in this example of a total monthly income of $4,500, your house payment should not be greater than $1,125. That’s enough for a nice house in most American cities. Typically, an FHA loan will want at least 3% down payment, and conventional loans ask for 20% down; so if you’re buying a house that costs $175,000 and making a down payment of $35,000 (20%), you will finance the balance of $140,000. The interest rates in 2018 are between 3% and 4%. At 3%, your total monthly payment would be $1301, if you get a 15-year loan because you want to pay it off faster and save a lot of money on interest charges. If you go with the 30-year loan, your payment is only $984. Lower monthly payment, but pay much more over the life of the mortgage. In budgeting for home ownership, consider the fees added to principal and interest. Some loans require mortgage insurance, which can raise your monthly payment unless you have the cash to pay the insurance at the beginning. At some point during the pay-off, your loan becomes eligible to drop the mortgage insurance premium, which will lower your monthly house payment. You should ask your mortgagor and title company about that, so you’ll have a goal to achieve in reducing your house payment. Be sure also to look at the differences between 15-, 20-, and 30-year mortgages, and choose wisely according to your budget and long-term plans. Hopefully, you’ve considered the positives and negatives of living in a neighborhood that requires membership in the HOA (Home Owners Association). It costs extra to have an HOA. They’re usually pretty good at protecting values and enforcing the upkeep of a neighborhood, but they can be restrictive to your personal life and hobbies. Once you’re in the house, there are many ways to manage the budget and even increase the amount you save each month. Talk to neighbors about TV, internet, and trash pick-up services. There are many companies, competing for those monthly fees, so here’s a chance to be frugal. Keep in mind the expenses of maintenance or improvements to your property. If you bought a fixer-upper, you need to include some costs for that. If it’s already to your liking, you still need to budget an amount for furniture, home décor, and yard beautification. Over time, be aware of fluctuations in mortgage interest rates, and consult an accountant for the right time to refinance. Refinancing can free up money, but it can also end up costing you in the end. 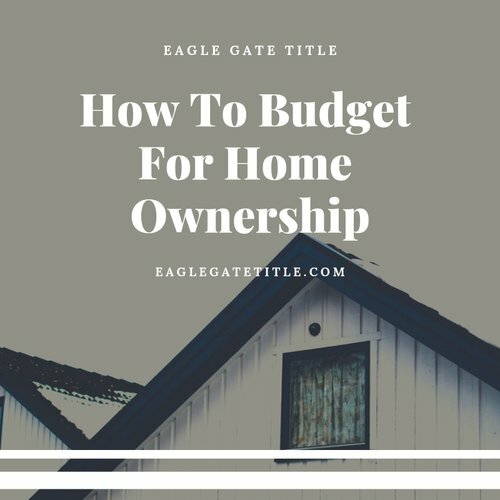 I hope I’ve given you some helpful tips on how to budget for home ownership.